Te Puna Hauora recognises that health and wellbeing are affected by many things; some will be physical, others mental, some might be spiritual, while yet others may be whanau related. Our environment can affect these areas greatly. Our Kaiarahi Servicess are offered to awhi (support) people who are troubled by issues that are affecting these things. We will meet with you and discuss/assess what areas you feel that support might be helpful. If you are registered with Te Puna Hauora, you are entitled to access our community services at no cost. Our Kaiarahi team/services are based in Northcote. We are home/community-based service and who provide support to those who live within Devonport to Whangaparoa. We even have three members of our mental health team based in Rodney areas! 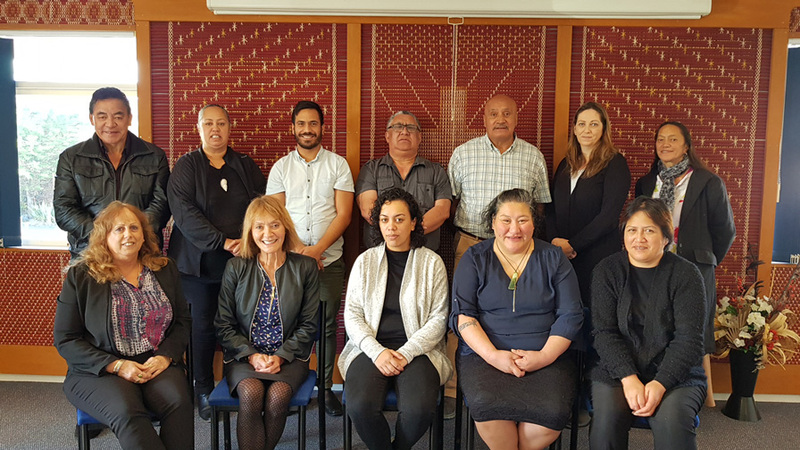 Te Puna Hauora operates a "wrap-around" service model. This means we provide services to support every aspect of an individual/whanau health and wellbeing. It also means that the whanau is the driver of the process - you call the shots! Our role is to use our collective expertise to guide and support you to reach your goals. We call this model the Te Puna Hauora IMAP model and you can find more information here. Based in Northcote, although also available at our other sites, the Community Support team provides a system of support and care for the community. Our Kaiarahi workers support whanau/clients in their home and the community and can advocate in the behalf of the whanau who are involve in other services in the community. Our Kaiarahi workers have a range of skills and strong links with the community. The Iwi & Whanau Mental Health services provides mobile services for adults/whanau, who experience mental health issues. Our Parenting Programme/Mana Matua and Journey Through Changes Programme help whanau and parents gain the necessary skills to provide better quality care for themselves and their children. Our mentors can help with the one to one support with financials issues and learn how to develop new skills around budgeting. If you require General Health advice you can call health line on 0800611116. For emergencies, please ring 111.